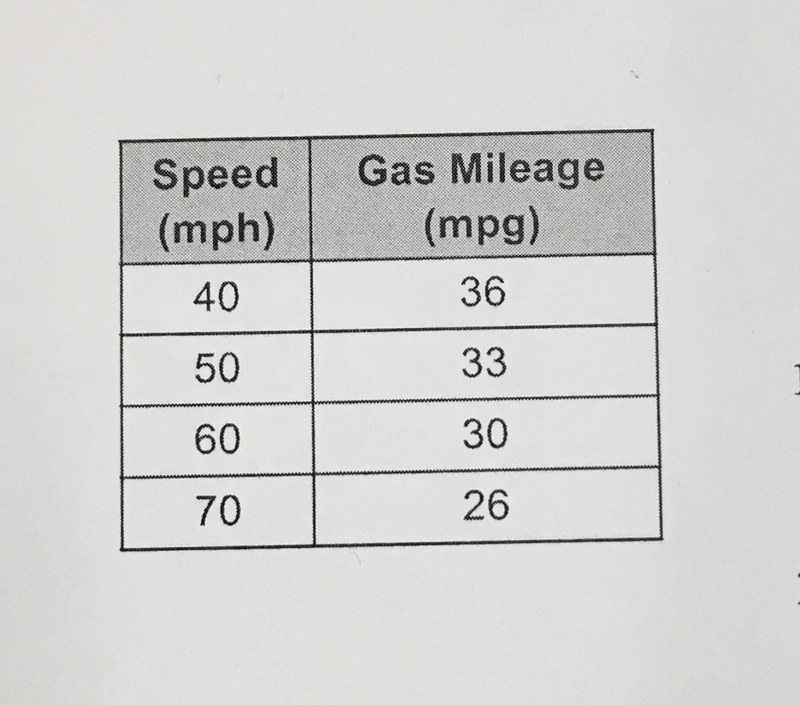 The table shows how speed affects the gas mileage of one type of compact car. Is the relation a function? EXPLAIN. Describe how gas mileage is related to speed. 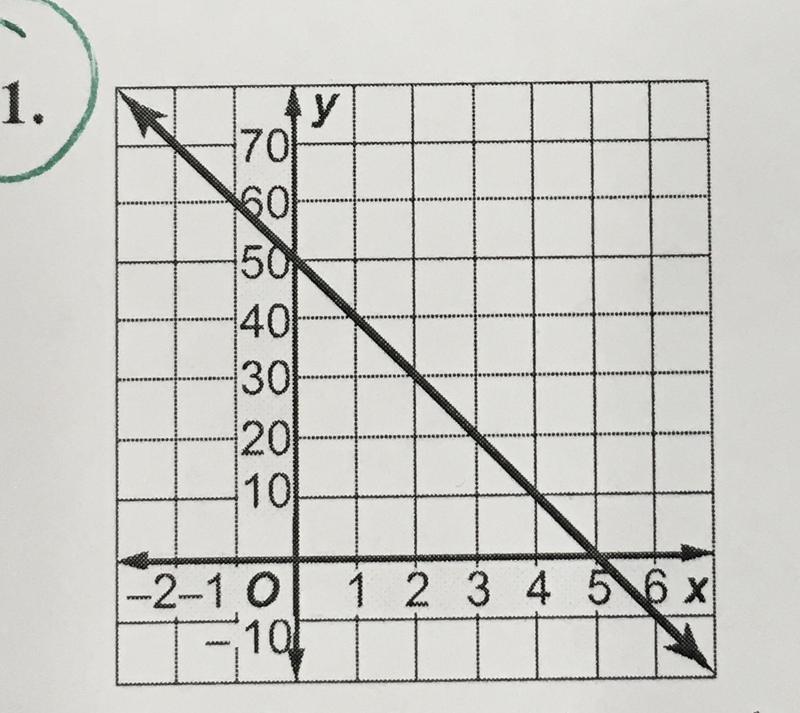 Find the rate of change for the graph above's linear function. 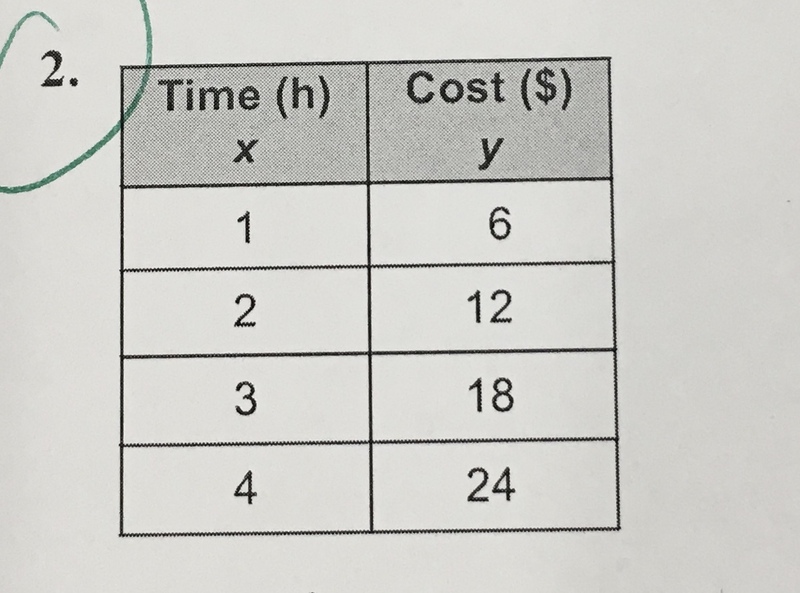 Find the rate of change for the table above's linear function. The table above shows the results of a science experiement. Find the rate of change.